I believe that when Feanor named Manwe and Varda as witnesses, he did not mean to provoke them but rather show everyone just how seriously he was taking this. He could have sworn and had as witness some of the other Noldor, who would have released him from his vow if he asked. But the Vow would not have carried the same weight nor been as unbreakable. So, he calls upon the mightiest beings he knows; Eru Ilúvatar himself, and the greatest of the Valar, beings who could take him to judgement should he fail. I believe he meant for this to send a message of just how serious it was, hoping to scare those who would take the Silmarils into not acting, for his Oath was unshakeable. And the Oath was sworn in Madness, so its definitely full of it. Now Feanor was dead, and Fingolfin was soon to come out of the north of Middle-Earth. Then did the Sons of Feanor and Morgoth both pretended to treat with each other, in the proposed exchange of a Silmaril. But both sides came with greater force then had been agreed upon, and Morgoth’s host was mightier, with many Balrogs among it. And then Maedhros was taken to Thangorodrim, to be chained by an arm to a cliff side, only to be returned should the Noldor leave west (which was no longer possible) or head into the deep south. The brothers of Maedhros held council among themselves on what to do (for they knew no word of Morgoths was to be trusted) and fortified a great camp in Hitlum, when out of the Northwest came the Host of Fingolfin, unlooked for. Then the Feanorians were astonished, for they were sure they had turned back when the boats were burned. 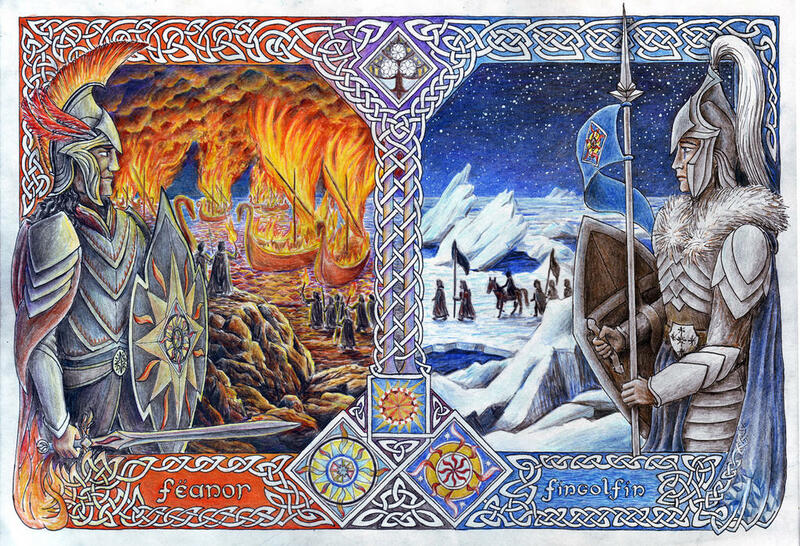 Now many of the Feanorians repented of their burning of the boats, so much that many could not look upon a member of Fingolfin’s host for shame of it. And so the 2 sides talked little, and tensions grew even as the two hosts exchanged word of what had occurred. Then Fingon, the son of Fingolfin headed out alone in search of Maedhros, for dear had been their friendship in Valinor, ere the darkening and the Oath. And as he came upon Thangorodrim, and seeing no ways of entry, he sung as lament for the Noldor and of Valinor, and a voice from the mountain answered him. 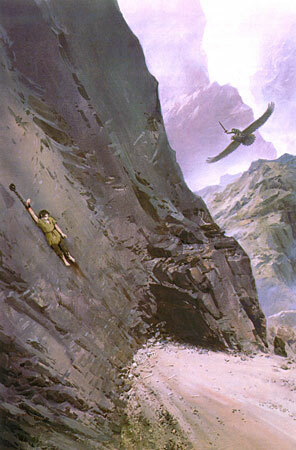 Maedhros, chained to a cliff face, pleaded his cousin to kill him, for Fingon could not reach him. Weeping as he drew back his bow, he prayed to the Valar to remember the Noldor. And one of the Great Eagles of Manwe came down and took up Fingon, for Manwe still held great pity for the Noldor, and would not abandon them utterly. And so Maedhros was freed, though it cost him his hand, for the chain could not be cut. Upon returning, Maedhros surrendered the High-Kingship to his uncle, repenting of the burning of the boats publicly and saying Fingolfin was the Elder, and wisest among them there. So was the division among the Houses of Fingolfin and Feanor healed, at least for the moment, and no more strife was there for the High-Kingship though some of the Sons of Feanor were indeed bitter for this decision. The Noldor now united would set a watch upon Angband which would last for 400 years, and messengers were sent out to meet and treat with the people of Beleriand. Now Angrod son of Finarfin came to Doriath, realm of the Sindar, and secured the lands which the Noldor may settle. Maedhros and his brothers took the lands to the far east, closest to Morgoth, for tensions among the Noldor still existed, particularly between the houses of Finarfin and Feanor. For all their sakes Maedhros devised that the Feanorians would be the furthest away, and would bear the brunt of any assault, for he knew there was little love between them and the other Noldor at that time. 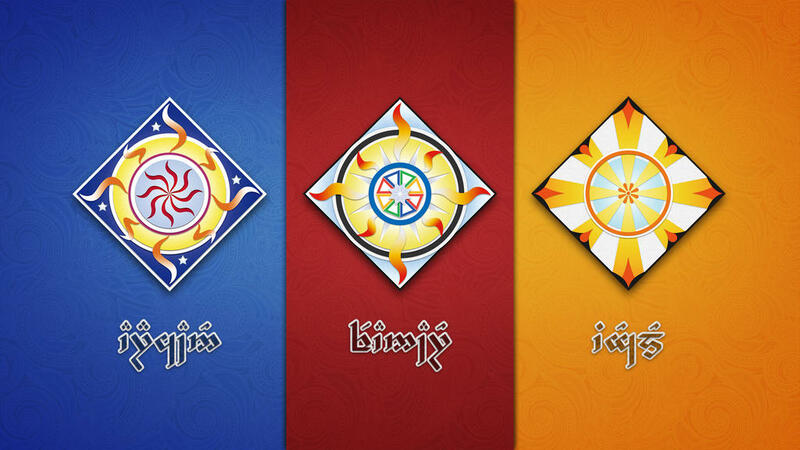 The houses of Finarfin and Fingolfin would hold the west of the Watch. And these were the realms of the Noldor and their Lords, in Beleriand ere they endured. Hithlum in the North-West was the domain of Fingolfin and Fingon after him. Turgon would reign in Nevrast for a time before constructing the hidden realm of Gondolin. Finrod the son of Finarfin would create the hidden underground realm of Nargothrond, for which he would gain the name Felagund. 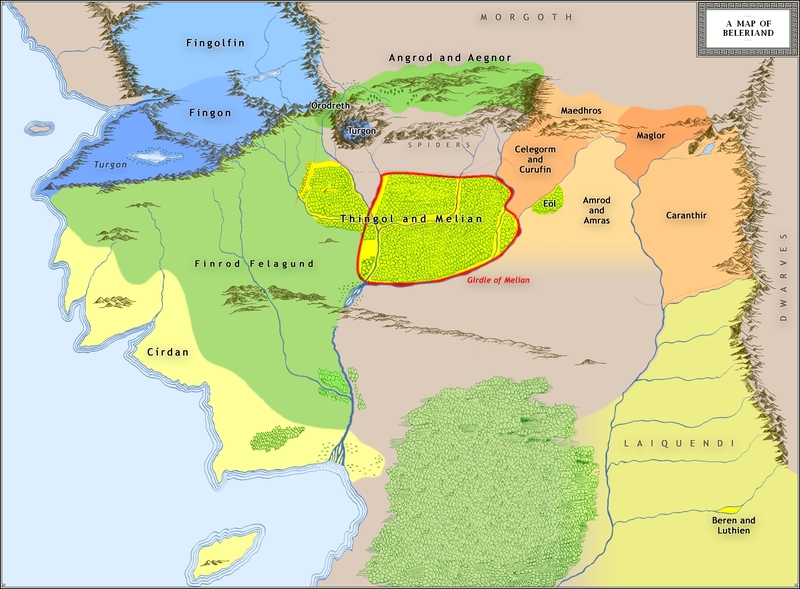 In Dorthonion was the realm of Angrod and Aegnor, the sons of Finarfin. Orodreth would hold Minas Tirith as a small realm, though he would later be ousted by Sauron and would rule as Regent of Nargothrond when Finrod went on the quest for the Silmaril. He would then remain as its king until its destruction. In Himring did Maglor and Maedhros make their realms; to the south in Himlad reigned Celegorm and Curufin, and farther south ruled Amrod and Amras of Eastern Beleriand. And to the Far East of Beleriand, the blue mountains of Ered Luin, ruled Caranthir. After these realms were established and 20 years of the sun, Fingolfin summoned all the Lord of the Noldor to a great feast, Mereth Aderthad, the Fuest of Reuniting. Maedhros and Maglor came of the sons of Feanor, the princes of the houses of Fingolfin and Finarfin too came, and Cirdan lord of the Havens came as well. And there many oaths of friendship and league were taken, and many counsels were taken with goodwill. In those days the Noldor were glad, for it seemed that Feanor was truthful in his words, bidding them make fair realms in Middle-Earth, for their blades guarded their realms fiercely, and Morgoth was shut away in his pit. And indeed, there was peace and joy beneath the sun and the moon in those days, in the realms of the Noldor. Now, Morgoth heeding the whisperings of his spies, that the Lords of the Noldor were wandering among their realms with little though to war, prepared to test his foes. So then the orcs came pouring forth through the Pass of Sirion in the west and the through the Land of Maglor to the east. But not sleeping were Fingolfin and Maedhros, nor caught unaware. The Noldor rallied and destroyed the enemy to the last, driving them back even unto the gates of Angband. And this was the 3rd battle of the Wars of Beleriand, and it was named by the Noldor Dagor Aglareb, the Glorious Battle. A great victory it was, yet the Noldor saw it as a warning, and drew their leagues ever closer, tightening the siege of Angband. And only twice in the next 400 years would Morgoth’s minions come forth, save to spy. The first was an attempt to attack Hithlum from the North, but they were seen from afar, and routed by Fingon. This was one hundred years after Dagor Aglareb. The second was after the birth of Glaurung, the father of Dragon. At night he came forth, and went into the realm of Hithrum. But Fingon and many horse-archers circled him and drove him back to Angband, for he was not yet full-grown and his armor was still weak. Fingon won great renown for this victory. And for 200 years more after this there would be peace in Beleriand. Men at this time came into Beleriand, and many became vassals to the Elf-Lords of the Noldor, among them the 3 Houses of the Edain, the Houses of Beor, Haleth, and Marach, later known as the House of Hador. The House of Beor was loyal to the House of Finarfin, and from this line would Beren be borne. The House of Haleth would settle in the Woods of Doriath, and would have little interaction with any wars. The House of Marach was loyal to Fingolfin, and settled in Hithrum. After the War of Wrath, what remained of the Beor and Marach would unite to form the Numenorians, the Haleth being wiped out. Now, after 450 years after his coming unto Middle-Earth Fingolfin grew wary though confident, perceiving that the Noldor were strong and their mannish allies were numerous. And his fears grew to pass, more terrible then any he could have expected. In winter Morgoth sent forth great rivers of Flames, burning all the forests around Angband, though the mountains shielded the realms of the Eldar. The great fire caused incredible confusion among the Elves, and so began the 4rth great battle of Beleriand, Dagor Bragollach, the Battle of Sudden Flame. Angrod and Aegnor were slain, and their realms destroyed. Near all the realms of the Sons of Feanor were destroyed, save the fortress of Maedhros upon the Hill of Himring, and the most hardy and valiant of the peoples of Dorthonion and the Feanorian realms there gathered. Maglor too joined his brother, and they would hold this fortress till the War of Wrath. Celegrom and Curufin fled to Nargothrond with their people, swelling it, though it would have been better if they had stayed in the east. Caranathir and his people fled south and joined with his brothers Amrod and Amras, and held the south from Amon Ereb, and no orcs came into Ossiriand for their strength. News came then of the ruin of Dorthonion as well as the destruction of the Feanorian realms to Hithlum. 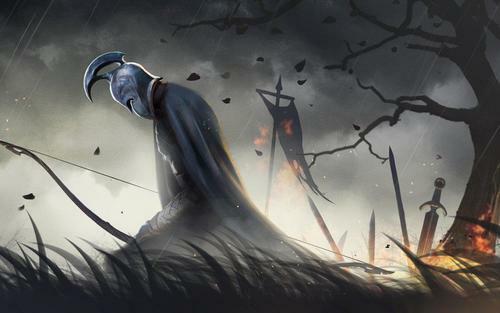 Fingolfin, now perceiving the ruin of his people, was filled with wrath and despair. Alone he rode out, a great madness of rage upon him, and the Host of Morgoth quailed before him, thinking him one of the Valar come. So thus he came upon the gates of Angband, and he sounded his horn and smote the doors of darkness. 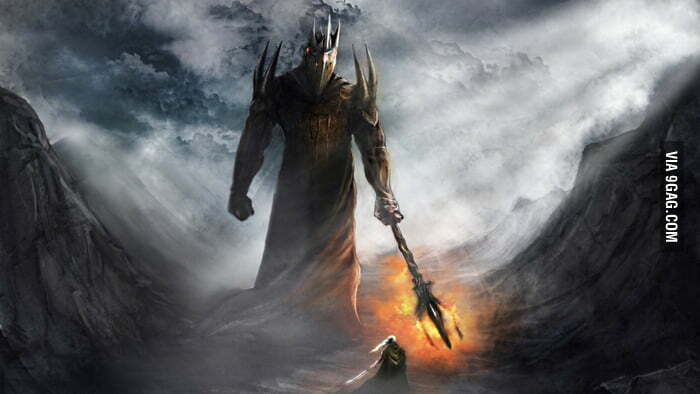 He challenged Morgoth to come forth, for the craven Lord of Slaves to come forth. And so did Morgoth come. Fingon then was High-King of the Noldor, and sent his son Erenion, who would be named Gil-Galad (note that in some versions Gil-Galad is the son of Orodreth of the House of Finarfin. I prefer to keep the High-Kingship in the House of Fingolfin, so I accept personally that he is the son of Fingon). Hithlum withstood Morgoth through the aid of the Ships of the Havens, which sailed at the bidding of Cirdan. And so Hithlum and the realm of Fingon endured for a time. Minas Tirith for two years after Dagor Bragollach stood against the tide of darkness. Sauron then came, and mastery was passed over to him, till Luthien and Beren would come. And Orodreth fled south and dwelled with his kinsman Finrod, and Nagrothrond, bolstered by Orodreth and the people of Celegrom and Curufin became mightiest of the Noldor-Realms, save perhaps Gondolin alone, who’s people in secret grew mighty in forging and enchanting. And Nargothrond’s strength was mustered until at last Turin would convince them to go forth to their ruin, in his folly. Now Huor and Hurin came to Gondolin in this time, and news of the outside world was given ti Turgon. Percieving the beginning of the end of the Noldor, he sent some of his people in secret to the Havens to build ships to sail west. He hoped to plead pardon and aid from the Valar, before the Noldor and Beleriand were destroyed entirely before the Uttermost West should come. But no sailers could find the way, till Earendil the Mariner sailed at last into the west. Now alone but 3 realms of the Noldor endured in might; Nagrothrond, Gondolin, and Hithlum. All others were but single fortresses. Also Doriath survived, guarded by the Girdle of Melian, but the Oath of Feanor would spell ruin for the realm. The quest of Beren and Luthien, though it ended in the death of Finrod, showed that Morgoth was not unassailable. Fearing that the realms of the Noldor would be destroyed one at a time, Maedhros called all who would answer to a final attempt at victory. But Morgoth had heard of the plans, and was ready. Recently men had come out of the East, the Easterlings, and had allied with Maedhros. But Morgoth and his messengers were in their councils, and they were ready to betray the Eldar. Doriath would not join in the Union of Maedhros, rather it would strengthen its own borders. But Maedhros had the deep friendship of the Dwarves of Belegost and Nogrod, and they crafted many arms and brought their host, and all the realms of the Noldor joined in the great battle. Morgoth would unleash his entire army, but Turgon would come, with the Gondolindhrim, unlooked for, to turn the tide in the favor of the Elves. Indeed, some say that if all the Union had held fast, the victory that day would have gone to the elves. However, the Easterlings struck the Feanorians in the back to the east, routing them and scattering them to the corners of Beleriand. And Fingon fell before Gothmog, and the day turned against the alliance. At the last, Turgon gathered what remained of the Noldor of Hithlum and his own folk. Hurin in that hour prophesized that if Gondolin should just stand for a while more, then the hope of both men and elves would come from it. To this end, he and his folk, the Dor-lomin fought to the last, providing a shadow under which the Noldor swept away. This battle forever would be known as Niranaeth Arnoedia, the battle of Unnumbered Tears. 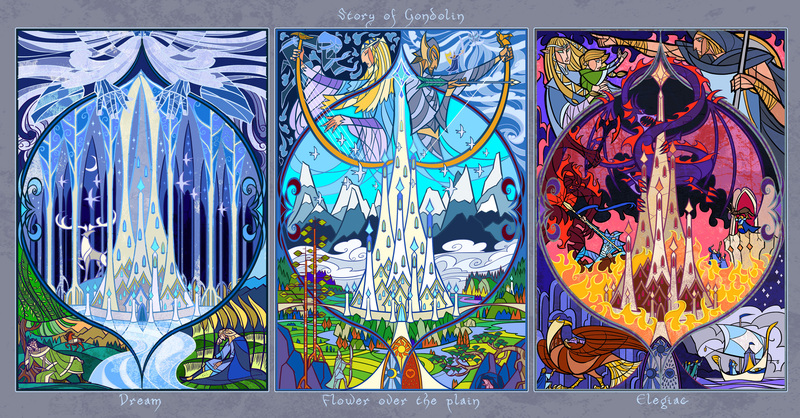 Gondolin, Nagrothrond and Doriath now alone stood of the realms of the Eldar. After gazing upon the beauty of Menegroth, Finrod desired a subterranean land of his own. With the aid of the dwarves of Negrod, who named him Felagund, Hewer of Caves, he made a great underground realm, Nagrothrond. The only way to enter the underground Kingdom was an incredibly small hidden bridge. Finrod would rule this kingdom until he joined in Beren’s quest for the Silmaril. Curufin and Celegrom would attempt to sieze power, but Orodreth was regent and then king, and exiled them. 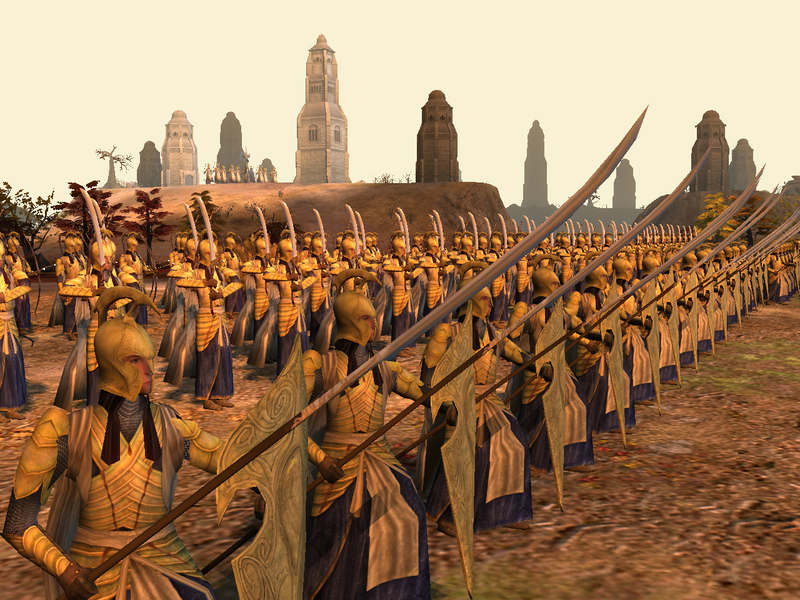 Turin later became one of the captains of Nagrothrond and counseled open war instead guerilla war, as the elves of Nagrothrond had waged thus far, constructing a much larger bridge for the army to pass upon. After Dagor Bragollach Nagrothrond would lose the power of Ulmo’s protection, and Orodreth was warned against opening the gates or letting his people travel; essentially, Ulmo wanted Nagrothrond to become isolationist as Gondolin. However, Turin would not heed the advice of Ulmo, and he was deep in the King’s council, and would not suffer the great bridge he had made for the army of Nagrothrond to be cast down. So instead the host of Nagrothrond went forth into open war, and they were slaughtered by Glaraung. Orodreth perished, and Turin hurried back to Nagrothrond to save Finduilas, daughter of Orodreth. But he was paralyzed by Glaurung, and the orcs took the people of Nagrothrond into slavery in Angband, and Glaurung took it as his lair, till Turin killed him. And now the great realms of Beleriand numbered two. Hurin took the Nauglamir from Nagrothrond, and gave it to Elu Thingol, King of Doriath. The king then desired to set the silmaril in it, and commissioned the Dwarves of Nogrod to set it. But the Dwarves of Nogrod desired it dearly, and first attempted to steal it through words before slaying Elu Thingol. During this time the Girdle of Melian was retracted and Melian returned to Valinor, to forever dwell in the gardens of Lorien. Then the elves of Doriath slayed most of the dwarves, but some of them escaped to Nogrod. The dwarves of Nogrod sent forth their entire host, and attacked Menegroth, slaying many of the Sindar and plundering the realm. On their way back to Nogrod, Beren and several companions ambushed the survivors and killed them. Now Dior, the son of Beren and Luthien was king in Doriath. A lord of the Green-Elves of Ossiriand returned the Silmaril to Doriath. 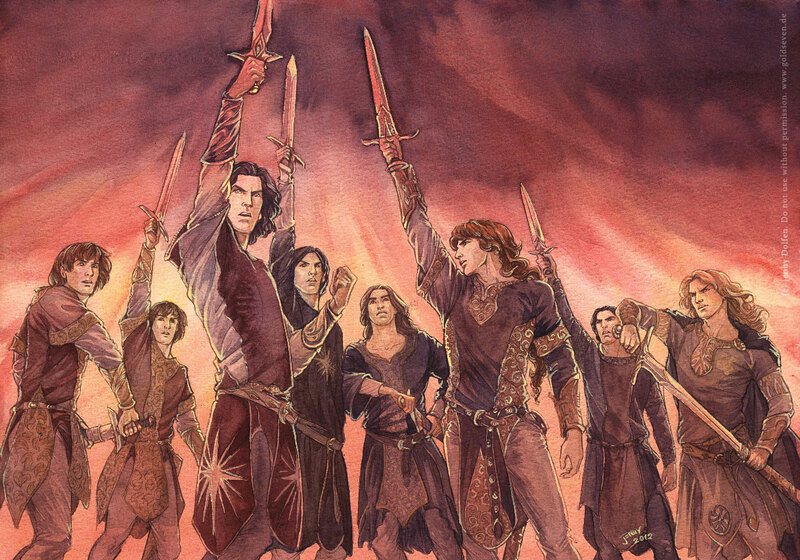 In this time the sons of Feanor heard rumors of a Silmaril in Doriath, and they gathered. They sent a message to Dior, demanding he relinquish the Silmaril to their holding, but received no answer. In the middle of winter the Feanorians attacked, and so began the second slaying of elf on elf. There fell Celegorm, Curufin, and Caranthir. Dior though was slain, as was Nimloth his wife, and his sons were left in the forest. Of this Maedhros repented, but could not find Elured and Elurin even after long searching. But the sons of Feanor had not gained what they sought, for Elwing Dior’s daughter had fled with some of their people to the mouth of the River Sirion. So the Oath of Feanor that Morgoth had helped make had worked his purpose in the destruction of the Kingdom of the Sindar. The Sindar were dispersed and would never again unite beneath a single king. Now there was but one great realm of the Eldar in Middle-Earth. In the early days of the Long Peace, by the guidance of Ulmo Turgon discovered the hidden vale of Gondolin. And looking upon it and seeing the place of his desire, he resolved to build there a fair city. He returned to Nevrast, and bringing the greatest craftsman of his people, the city was built over the course of 100 years. Then he would dwell there with his people, never again to leave save to participate in the battle of Unnumbered Tears, till its ruin. 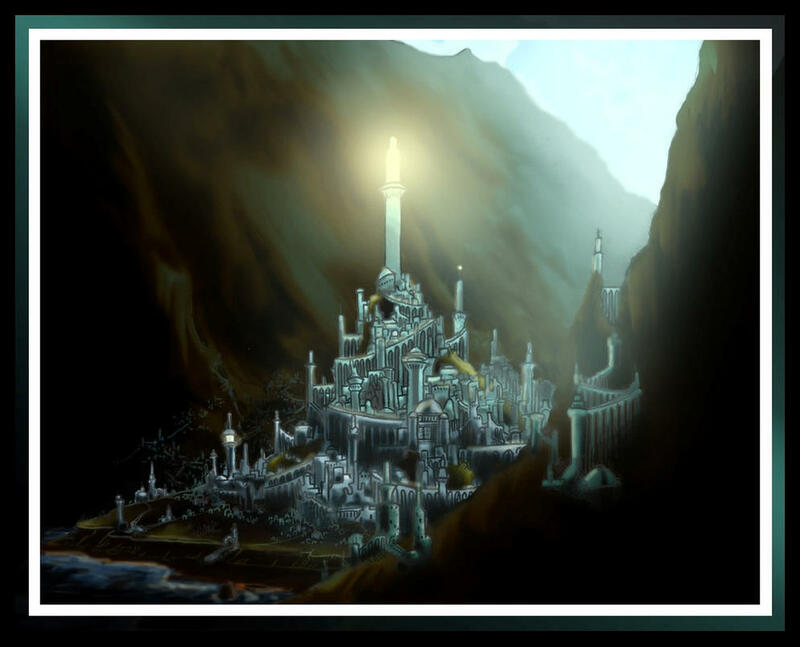 Gondolin would ultimately fall from treachery from within. Gondolin, now the last realm of the Noldor after the ruin of Nagrothrond, had Morgoth’s full attention upon it. Turgon’s nephew Maeglin, born to his sister Aredhel and the Dark Elf Eol would be captured by Morgoth during one of his expiditions for ore, for he was head of the House of the Mole. Maeglin, though born of the dark elf, was as a great prince of the Noldor, strong, intelligent, and wise, but a hidden darkness dwelled within him. He became dear to his uncle and was oft in his council, becoming head of his own house. Maeglin was won to the side of Morgoth with promises of the Kingship of Gondolin, along with the hand of his cousin Idril. Idril had rejected his affections, because she perceived in him a darkness unseen, and the Eldar never married kin so close as 1st cousins. So his love for her turned to lust, and his fall began. So Maeglin led the forces of Morgoth to Gondolin, and it ruin was at hand. Many Balrogs fell upon the city, and their lord Gothmog fell to Ecthelion, lord of the fountain. Turgon could not be defeated, fighting until his tower fell upon him at, and Gil-Galad thereafter was king of the Noldor in Middle-Earth. Maeglin was thrown from the walls by Tuor, even as some of the people escaped using Idril’s Way, a hidden path made by Idril for just this eventuality. So passed Gondolin, greatest and longest lived of all the realms of the Noldor in the First Age. In those days the remnants of Gondolin and Menegroth were united in Elwing and Earendil’s marriage, and the havens at the Mouths of Sirion. But the sons of Feanor came among them, and there was great death on both sides, though the Feanorians were the victors in the end. Earendil was on one of his voyages to discover Valinor, and Elwing cast herself into the sea with the Silmaril. Ulmo changed her into a bird, and she flew to Earendil with the Silmaril, which would guide him to Valinor. Despairing of what awaited them at home, they chose to continue onwards. During this time Maglor and Maedhros took Elrond and Elros, but great love grew between them, before their ruin after the War of Wrath. Now with the Silmaril upon his brow, Earendil found the Undying Lands, and beseeched the Valar for aid, pleading the case of both Men and Elves upon the Mortal Lands, and pity for them. Earendil and Elwing then had to chose to which kindred they should be bound. Elwing chose the life of the Eldar, and Earendil also, out of love of her, though he desired the life of the Edain more. The Valar decreed that never again shall Earendil stand upon Middle-Earth, and he was set in the sky with the Silmaril upon his brow. And at his rising in the west, the Elves of Arda looked up with hope, and despaired no longer. But Morgoth’s pride was great, and believing no-one would ever again assault him, also perceiving that he had forever sundered the Noldor and the Valar, who would be content to remain in their paradies. Beneath the banner of the Valar marched the Vanyar, and the Noldor of Aman, and the Teleri sent mariners to man the ships, though they did not step foot upon Middle-Earth. And at last all the host of Morgoth came forth, but it availed him not. The Balrogs were destroyed, save what few hid and survived, and the orcs died in uncountable numbers. At last, at the gates of Angband, Morgoth released his final hope; the winged dragons. And repulsed was the entirety of the host of the Valar. But then came Earendil, burning as a bright white flame, and with him came all the great birds of heaven and the Eagles of Manwe, with Thorondur their lord. Before the rising of the sun Earendil cast down Ancalagon the Black, greatest of the dragons of old. And Thangodrim’s towers were destroyed in his fall, and so was Morgoth defeated. He was bound with the chain Angainor and was cast into the Void, upon the return to Valinor. After the War of Wrath, Eonwe refused to yield the Silmarils to Maedhros and Maglor, who alone now survived of the sons of Feanor. They had lost their right to the jewels in the Kinslayings at both Doriath and the Havens of Sirion. They must return unto the west, and there abide until the Valar decree the jewels theirs. Then did Maglor and Maedhros argue long, but in the end Maedhros was the victor, and they made away with the jewels in the night after slaying the guards. However, the Silmarils burned them, and Maedhros, perceiving Eonwe had spoken truly and the Oath was vain, cast his into a chasm of fire and then threw himself in, desparing. Maglor threw his into the ocean, and spent the rest of his days singing laments on the seashore of the Noldor, ere the Valar should summon him back. And so did the Oath of Feanor finally work its end and the ruin of the Sons of Feanor was complete. The Valar forgave the Noldor and summoned them back to Aman, but not all desired yet to leave Middle-Earth. Amongst these were Galadriel, Celebrimbor, and Gil-Galad. And the Valar ageed to leave them to Middle-Earth, as well as leave open the path westward from then on, though none should return eastward, save Glorfindel. The sons of Earendil then at this time chose their Doom. To Elros was given many years as one of the Edain, and the First King of Numenor, Tar-Minastir. Elrond became a great Lord of the Noldor, becoming wise in all lore and healing, and a great warrior. So ended the First Age of Arda, and the Spring of the Noldor truly past. I would like to stress the importance of the prominent role of Melian in the equilibrium of power in Beleriand, being her probably one of the fiercest opponents of Morgoth's and Sauron's schemes, especially in the early times of the War. Not really because of Melian's capability of planning dynamic offensive actions or military campaigns (something definitely related to the Noldorin Lords), but because of her realm's integrity due to Endurance. Something similar to the context of the War of the Ring – with the needed differences – where Galadriel partially resembles this situation via her magical surveillance on Lothlórien. There it was put into [Beren's] heart that he would go down into the Hidden Kingdom, where no mortal foot had trodden. Terrible was his southward journey. Sheer were the precipices of Ered Gorgoroth, and beneath their feet were shadows that were laid before the rising of the Moon. Beyond lay the wilderness of Dungortheb, where the sorcery of Sauron and the power of Melian came together, and horror and madness walked. There spiders of the fell race of Ungoliant abode, spinning their unseen webs in which all living things were snared; and monsters wandered there that were born in the long dark before the Sun, hunting silently with many eyes.